Illinois voters were fatigued after the tumultuous term of now-imprisoned former Governor Rod Blagojevich and were looking for something new. However, we turned Brady’s perceived strengths to weaknesses… and we never let up. 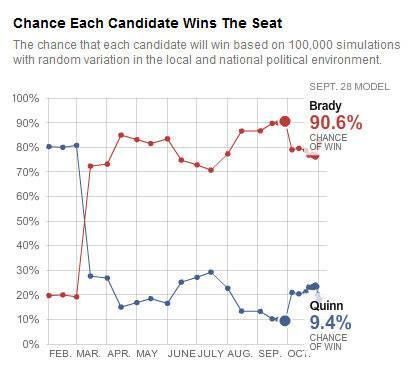 No one predicted Quinn’s victory. RealClearPolitics.com declared the Quinn victory the #5 upset in the country. Winning Political Strategy. Winning Political Media.